Guess Which Big Airline Scored Lowest in the Airline Satisfaction Survey Again? This may come as a surprise in light of recent events, but the nation’s airlines did a better job of making customers happy this past year, according to a new study. The industry scored 75 out of 100 points, a four percent increase, according to the American Customer Satisfaction Index (ACSI) 2017 Travel Report released on Tuesday. Customer satisfaction with American, Delta and Allegiant was up significantly. What's Wrong With the Airline Industry? Passengers gave the airlines higher marks for on-time arrival, baggage handling, courtesy and helpfulness of the flight crew, loyalty programs, and quality of in-flight food and entertainment. Even seat comfort — a major sore point with many fliers — rated better, up from 67 to 71. In fact, even with this year’s higher overall score, airlines remain in the bottom third of all the industries tracked by the ACSI. It should be noted that these results are based on interviews conducted during the past 12 months (ending in March of 2017), before that video of United’s violent removal of a passenger from a plane in Chicago went viral. The percentage of passengers who said they paid a baggage fee increased this year: 57 percent of business and 39 percent of leisure travelers. But passengers “appear to have acclimated to these charges,” the report said. In fact, business travelers who paid a checked baggage fee were some of the most highly satisfied passengers. That could be because they get reimbursed for that expense. Two discount airlines, JetBlue (82) and Southwest (80), lead the pack. Alaska Airlines is close behind at 78. JetBlue’s low-cost business model and cabin upgrades appear to be paying off, while Southwest’s pricing policies (that include no hidden fees and no charge for a flight change), continue to be popular, the report noted. Alaska Airlines, known for its quality service, is in the process of merging with Virgin America. These mergers often cause customer satisfaction problems. But with its score up one percent from last year, Alaska appears to doing a good job with the transition. American (up six percent) and Delta (up seven percent) both scored a 76, one point above the industry average. That’s a record high for American and the best score for Delta in more than two decades. While the customer experience on both airlines has improved, these big gains are largely driven by price, VanAmburg told NBC News. American and Delta are now competing with the discount airlines by offering lower-priced basic economy fares. “You get less service, but you pay less for it. And anytime customers can fly for a cheaper price that’s generally a positive,” he said. 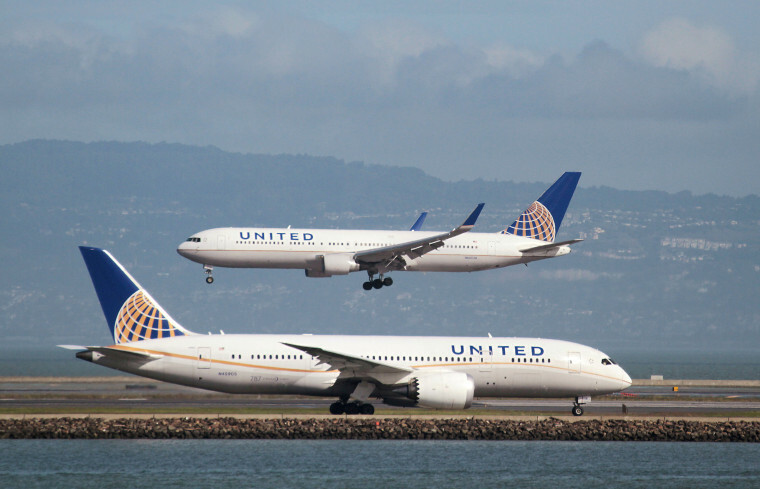 United, with an ACSI score of 70, was the lowest-rated of the nation’s big three airlines again this year, even though its satisfaction score increased by three percent. At the bottom of the list once again: Frontier (63, down five percent) and Spirit (61, down two percent). People who fly Frontier and Spirit tend to have fairly low expectations for service — they simply want to get from here to there for as little as possible. But based on these scores, passengers “apparently don’t appreciate low ticket prices enough as a trade-off for low service quality — particularly as most airlines now also compete on price,” the report noted. Do U.S. Airlines Really Care About Customer Service? Kathy Grannis Allen, managing director of communications at the industry trade group Airlines for America, strongly disagrees. The industry invested approximately $17.5 billion, or more than $20 per passenger, in the product and customer experience last year, Allen wrote. This includes new aircraft, upgraded facilities, expanded flight schedules and better in-flight entertainment. Consumer advocate Charlie Leocha, chairman and founder of Travelers United, believes passengers have themselves to blame for allowing the airlines to get away with providing poor service.